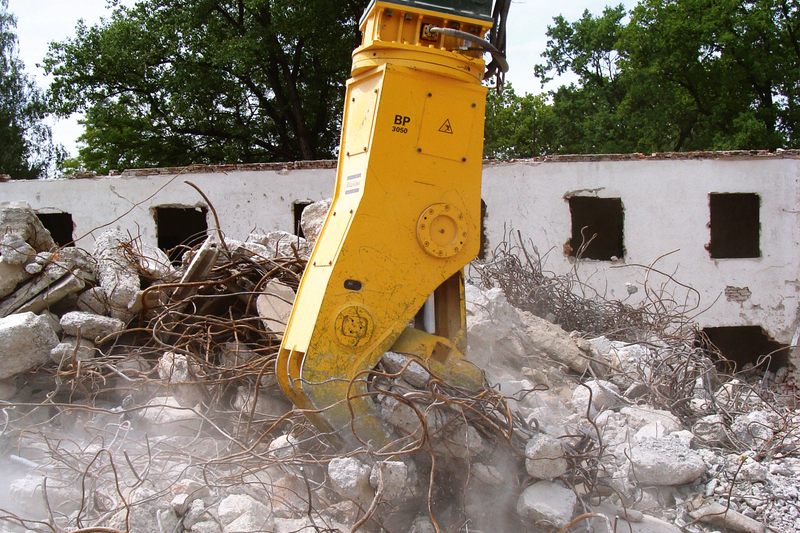 Thanks to their angled shape, our BP bulk pulverizers are ideal for secondary demolition and additional reduction of reinforced concrete elements: the broad jaw makes it easy to feed in demolition material on the ground, which helps to speed up work and enables the clean separation of rebar and concrete and their subsequent reduction into grain sizes suitable for crushing or use as backfill. 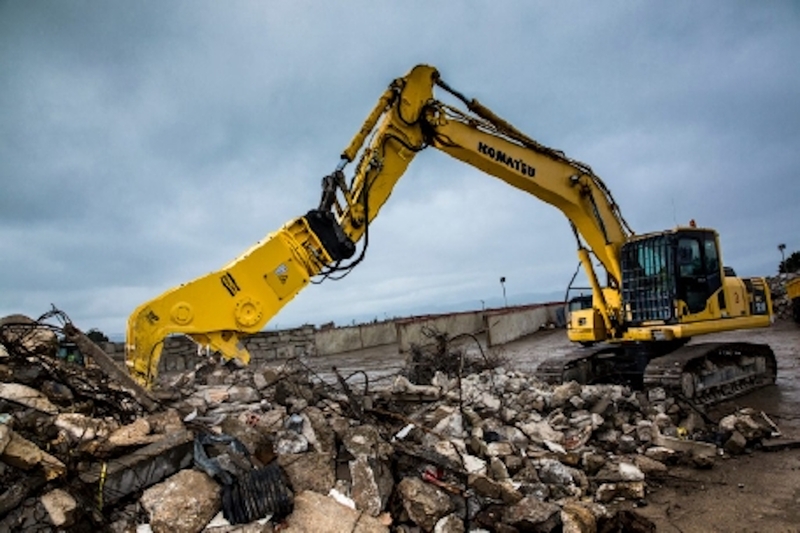 The optional hydraulic rotation drive also makes it possible to use the BP bulk pulverizer for a more efficient primary demolition of ceilings and walls. Another proof of a very functional design. 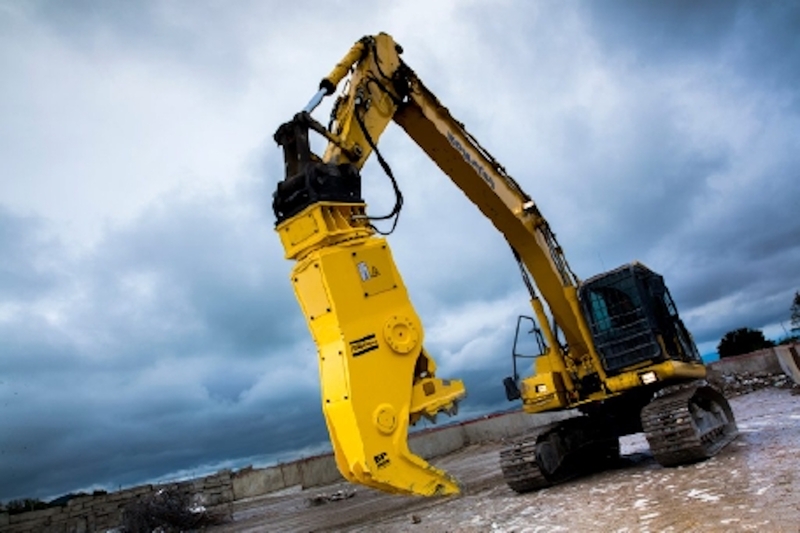 Optional hydraulic rotation drive for solid and precise handling. 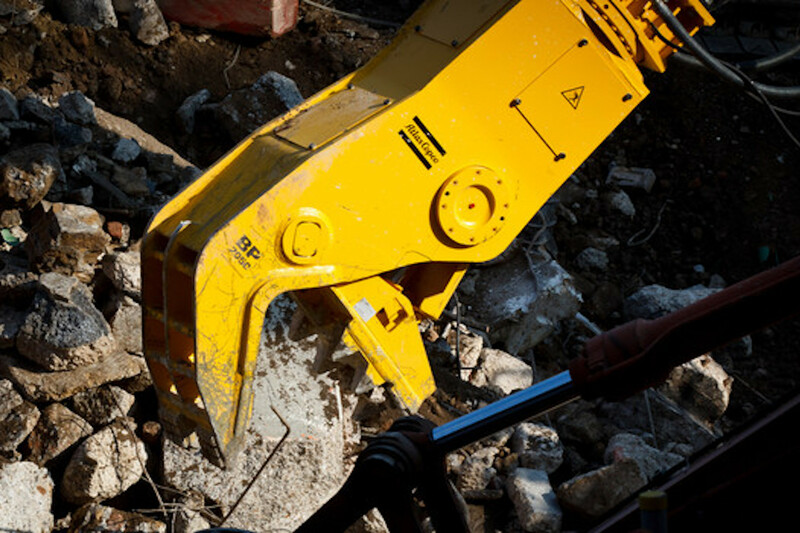 Speed valves shorten the working cycle time thus less fuel consumption during operation. 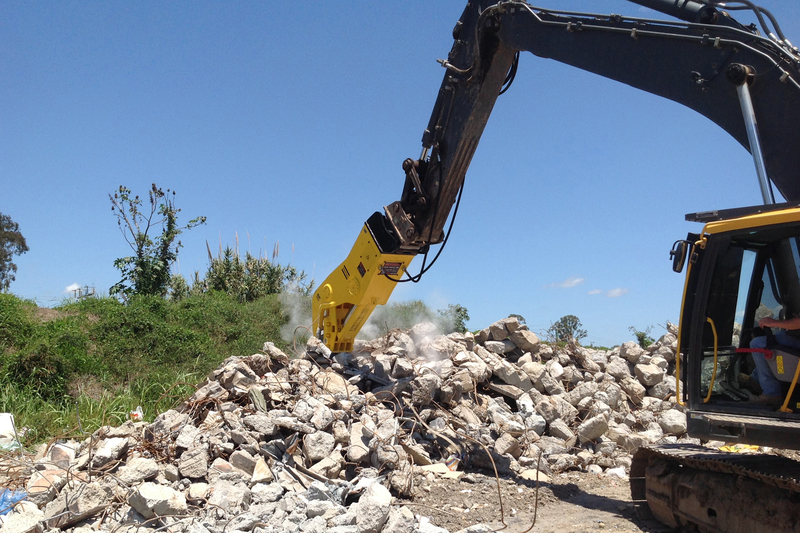 High power at the jaw tips, even when the jaw is almost closed, helps to demolish structures with less bites. Huge jaw dimensions for high throughput.